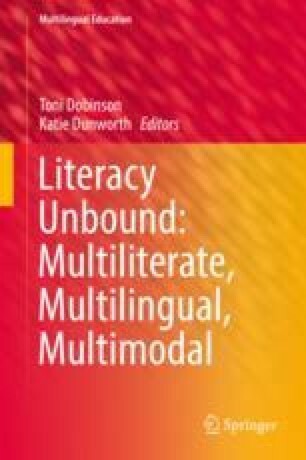 The literacy skills of pre-service teachers and the perceived wider ‘literacy crisis’ in schools and higher education has been the focus of much discussion and debate, both in the media and in research for a long time. There is a perception that students who begin teacher education programs have low level skills in literacy, and that the programs they are enrolled in are failing to develop their skills, hence resulting in poorly equipped teachers and poor language practices in classrooms. This chapter will examine the history of this discourse; identify the publications it has been based upon and determine the validity of its conclusions. This background will contextualise the results from an empirical case study in which the participants were pre-service teachers enrolled in a common first year unit within the Bachelor of Education (Early Childhood Education and Primary) programs in an Australian university. The project sought to identify the scope and breadth of literacy skills that the students present with as they begin their pre-service teacher program. The findings from this case study can be used to better understand and identify how the critical discourse regarding their skills has emerged, and offer insights into the perceived crisis itself.